“Wretched Tongues” offers the first taste of the unexpected when its mid-section collapses into pummelling, weighty doom - ominous open chords pierced through with shards of jagged guitar. “Drones” adds death-metal flourishes into the mix while “Better Living Through Apathy” has what could almost be deemed a chorus - memorable bursts of two chord punk-rock anger bubbling to surface above the relentless drumming. When an LP tears through 8 songs in twenty minutes you know it’s not going to be pretty. “Sowing The Seeds of a Worthless Tomorrow” is the latest album from Calgary hellraisers, Wake and it’s a fast, ugly ride. The album rips into life with the raging “Burn Well”. This sets expectations for a solid, no-frills grindcore album in the vein of Nasum, but Wake don’t stick to the script. The band is devastating when unleashing blast-fuelled punishment, but it’s the moments when they stray from the path that really elevate them. “Wretched Tongues” offers the first taste of the unexpected when its mid-section collapses into pummelling, weighty doom - ominous open chords pierced through with shards of jagged guitar. “Drones” adds death-metal flourishes into the mix while “Better Living Through Apathy” has what could almost be deemed a chorus - memorable bursts of two chord punk-rock anger bubbling to surface above the relentless drumming. “Low” begins with spidery guitars and subdued, skittering drums, bringing a Keelhaul-style math-rock feel to proceedings. Blastbeats soon make their presence felt again, transforming the song into an unusual, but effective, melding of styles and providing the album’s highlight. 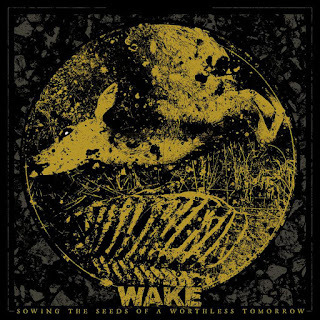 “Sowing The Seeds of a Worthless Tomorrow” covers more ground in twenty minutes then most bands do in double that and completely slays in the process. 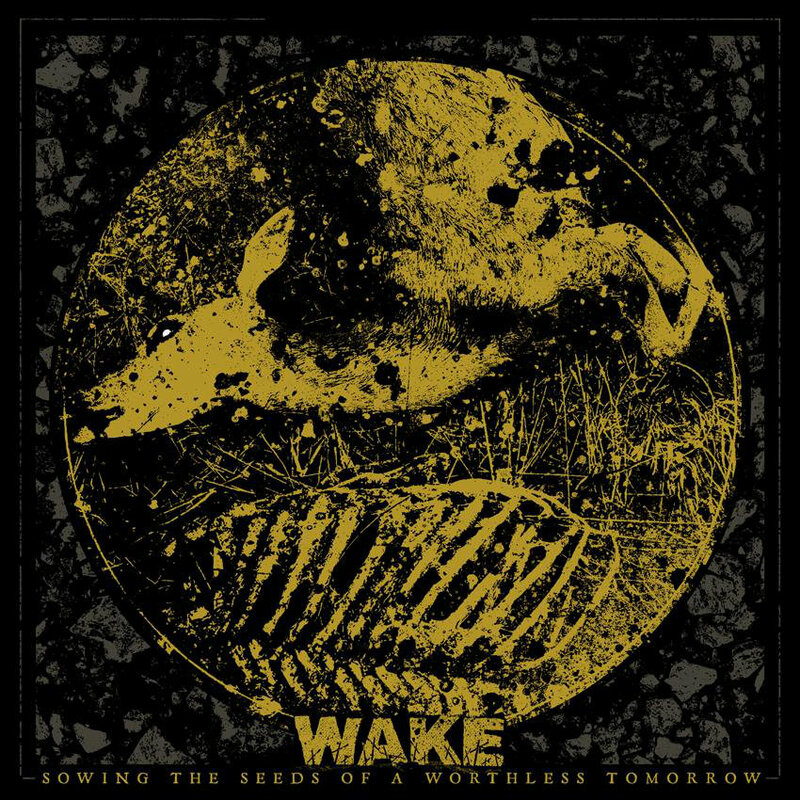 Wake put themselves above the competition here and set the standard for quality grindcore in 2016.